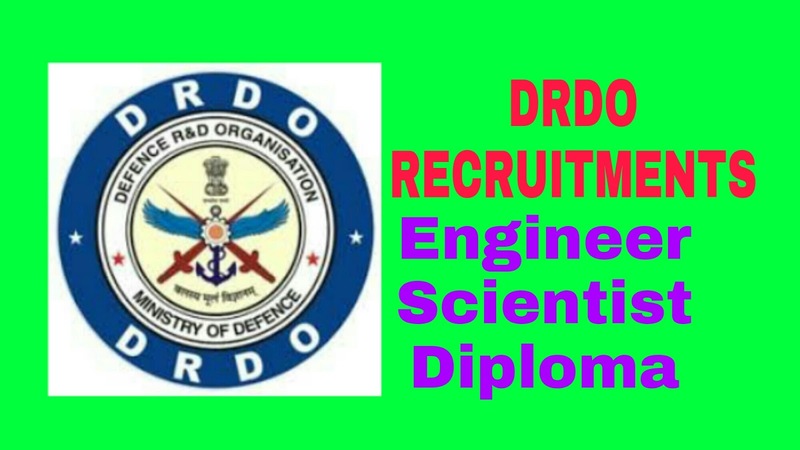 DRDO Recruitment 2018 for Engineers/Scientist/Diploma: DRDO Recruitment 2018-19: Apply Online for 494 Senior Technical Assistant Vacancies in DRDO Recruitment 2018-19 Across India. at its more than 60 laboratories/establishments spread throughout the country.Online applications are invited for recruitment to the post of Senior Technical. All eligibility conditions, will be determined with reference to the crucial date of eligibility as mentioned in this advertisement. A) NATIONALITY: Candidate must be a citizen of India. B) Age Limit: Please refer 1.4 of this advertisement for age limit. fitness standards are as per Govt. of India rules. representation in this regard will be entertained under any circumstances. the examination confers no right of appointment, unless the government is satisfied. Candidates must satisfy themselves, before applying, about their eligibility for the post. Candidates are, therefore, urged to carefully read the advertisement and complete the application form and submit the same as per the instructions to avoid rejection later. A) All candidates must apply online through the link available on CEPTAM notice board (https://www.drdo.gov.in/drdo/ceptam/ceptamnoticeboard.html). Applications received by any other mode will be summarily rejected. B) The online application portal will be opened on 04 August 2018 and closed on 29 August 2018 (05:00 PM). C) Firstly, the candidate must register online by filling up the basic details. After registration, the candidate will get a user Id & password (note it down & keep safely), which will be used to login for filling of application. D) Candidates are advised not to wait until last date to submit their applications. Non-refundable application fee of Rs. 100/- (Rupees one hundred only) is to be paid by the candidate. The fee should be paid separately for each post code applied. For any queries about DRDO Recruitment comment us and all the best for your future.